WinOLS - New Mappacks for April 2019! WinOLS - Probably all the BMW Mappacks you will ever need for MD1CP002! bFlash - January 2019 update: V1901B! bFlash - January 2019 update: V1901A! WinOLS - New Super Mappacks BMW ZF 8HP gearbox! bFlash - Mercedes MED17 available through OBD! WinOLS - WinOLS Mappacks Ford MG1/MD1! Tuningfile News! M140i / M240i stage 2 rdy! Tuningfile News! Ford Fiesta ST 1.5T Ecoboost! Tuningfile News! Hyundai I30 'N' now ready! Tuningfile News! Alpine A110 1.8 TCE! Tuningfile News! Range Rover Velar 2.0 SI4 Ingenium! Tuningfile News! BMW G3x 520d! Tuningfile News! BMW G3x 520i! Tuningfile News! BMW/Mini B38 1.5L 3-cylinder TwinPower ready! Tuningfile News! BMW G11 750xD available! #bFlash - It has arrived! bFlash - BMW G-series, welcome! Tuningfile News! VW UP! GTI ready! Tuningfile News! New BMW X40i B58 Engine Ready! WinOLS Solutions - Mappacks & more! bFlash - Software features released! bFlash - June update: V1806A! bFlash - May update: V1805A! Tuningfile News! Renault Megane 4 RS now available! Tuningfile News! Volvo diesels now available! Tuningfile News! Peugeot 1.2 PureTech results! Audi RS6 Performance Super Mappack now available! BMW F87 M2 Limited Mappack available! May 2018! New Porsche Mappacks Online! Tuningfile News! Kia/Huyndai 1.0 TGDI now available! Tuningfile News! Honda Civic 1.5 Turbo (MY18) now available! bFlash - First MG1 generation hacked ! WinOLS Solutions - February 2018! Super Map Packs Online! WinOLS Solutions - VAG Simos 18 DTC Finder! WinOLS Solutions - January 2018! New Map Packs Online! Wishes, updates and a lot of good news! Tuningfile News! Porsche Boxster / Cayman 2.5T now available! Tuningfile News! Honda Civic 1.0 Turbo (MY18) now available! WinOLS Solutions - Porsche automatic DTC Finder! Tuningfile News! Mercedes-AMG GT R available! WinOLS Solutions - November 2017! Big Update! Tuningfile News! Porsche 958.2 now available! Tuningfile News! Porsche 991.2 3.0T now available! Tuningfile News! Renault 1.5 DCI with SID310! Tuningfile News! Renault 2.3 DCI now available! Tuningfile News! Ford Transit 2.0 TDCi EcoBlue engines! WinOLS Solutions - Mai 2017 - Part 2! New Map Packs Online! WinOLS Solutions - Mai 2017! New Map Packs Online! BMW & Mini F-series Warranty Patch! WinOLS Solutions - April 2017! New Map Packs Online! WinOLS Solutions - March 2017 update! New Map Packs Online! WinOLS Solutions - Limited Mappacks for all Mazda diesel with Denso ecu! WinOLS Solutions tutorial - How to use the import wizard? WinOLS Solutions - Mappacks! Mappacks everywhere! Tuningfile News! Alfa Romeo World Premiere! Tuningfile News! Maserati Levante 3.0D! Tuningfile News! VAG 1.2 TDI now possible! With Winols solutions you can add all kinds of exciting features like launch control, map switching, NLS, OBD read/write patching, DTC tables and/or map descriptions to an existing file by adding new code to your file. These winols solutions are fast and practical, saving you hours of manual labor and enabling you to offer new products to your customers. We develop and supply read/write communication protocols and software for several flashtool suppliers. We also help tuning companies to develop their own flashtool or handheld customer flashtool. Checksumm and RSA calculations, RSA-hacks or tuning protection (Tprot) patches are some of our other expertises. We provide seed-key algorithms, original and modified ODX files and flash containers and can supply and create a2l, asap2 or damos format definition files and function sheets (funktionsrahmen). We’re proud to introduce you to bFlash®, a new, unique and revolutionary tool for automotive professionals, tuners and engine calibration engineers. Since the bFlash® is so much more than just an ECU programming tool, it simply can’t be compared to any traditional flashtool. Despite Alientech KESSv2 / KTAG, Autotuner, Byteshooter NG, CMD Flash, Dimsport NEW-GENIUS / TRASDATA, Magic motorsport X17 being good tools for simple read/write operations, we found them to be missing many important features, both on the developer side as in daily use. That is why we recommend bFlash. B&C Consulting offers CMD Flashtec slave tools for a fair price. Contact us for more information regarding packages & pricing. As individual training takes a lot of time, and days are numbered, all spots for 2019 have been booked, you can contact us solely for training requests in 2020! Thank you for your understanding. B&C Consulting offers a wide variety of training courses for beginner, intermediate and advanced users. Individual courses are available on both a scheduled and request basis and can be tailored to suit your needs. As the developers of the database, we know all the tricks, time-saving workflows, and latest innovations that will enable you to unleash its full potential. 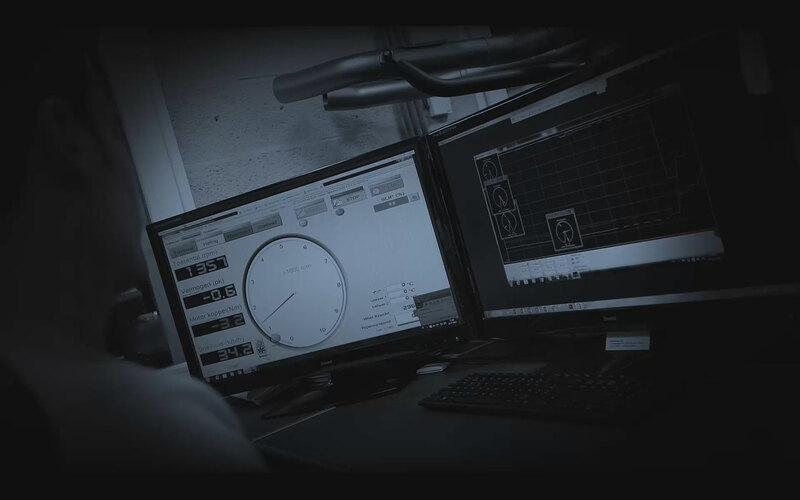 We offer a training path that allows you to add new software skills as your operational requirements grow and to help you advance your local tuning market. Globally, we have more than 1500 professionals in over 130 countries using our WinOLS database and/or file service on a daily basis. Individual training is taught by our professional instructors and delivered onsite at our office. We'll work closely with you to define your needs and a training timeline that's right for your firm. Our classes are held on Sundays and Mondays only and you need to reserve about 2 months in advance. We are close to public transportation and we can arrange pickup for you at the airport, train or hotel. You can focus on broad or specific topics, depending on your needs and you can ask every question you like. You'll receive guidance and recommendations how to make a good tuning file yourself. Instead of using sample data, you can choose to customize your experience even further by using your own data, since your staff will already be familiar with it. We will teach you what no other tuner wants you to know, all the secrets about making good files. B&C Consulting is the first to offer a tuning database API to it’s customers. The tuning database API is a database containing the power and torque gains for each car brand, model and engine configuration, by inserting this API into your own website you can have your own car configurator. We offer you a fast API, which allows you to implement our tuning data on your website. Define your own formulas and apply them on power, torque and prices shown on your website. With our premium API we offer you all car manufacturing logo’s for use on your website. Our frequent updates will make sure your website remains up to date ! Operating out of the center of Europe, B&C Consulting is a small group of automotive experts. A team of (4) highly trained & qualified engineers with 15 years of experience, who gained experience working for market leading companies such as Bosch, FEV and Infinion. Two 4x4 dynorooms with state-of-the-art equipment such as Cananalysers, 6 gas exhaust analyzers, ... provide data that enables our engineers to create nothing but the best mappacks & tuningfiles ! Keep in mind we are not a tuning company, we solely provide support for tuners B2B. Copyright © 2011-2019 B&C Consulting® S.a.R.L. We will process this quickly.